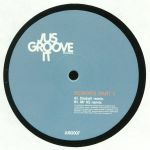 Review: The Jus Groove It label is, of course, all about deep house music, and who better to help them in their quest than Djebali? 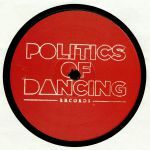 The French producer is on exceptional form with the reduced but utterly seductive remix of Rhythm&Soul's "Andromeda's Dream", making dubbed out melodics and a mean bassline do all the work to deadly effect. Shintaro D gets reworked by Mr KS on the flip, and things get a little freakier with some errant synth wobbles and a minimal groove making for a distinctive, ear-snagging end result. It's definitely a record of two halves, and fortunately both halves are excellent.